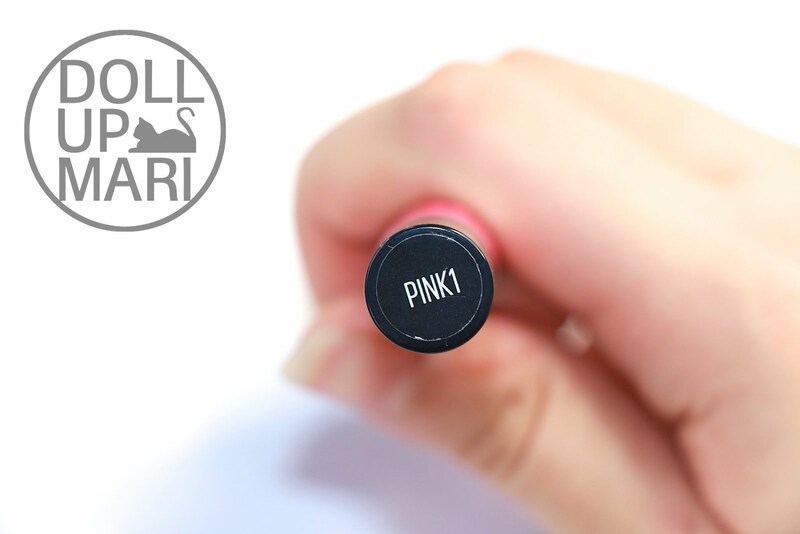 I know the whole world is obsessed with matte lippies right now, and this is one more of those products that can do that. 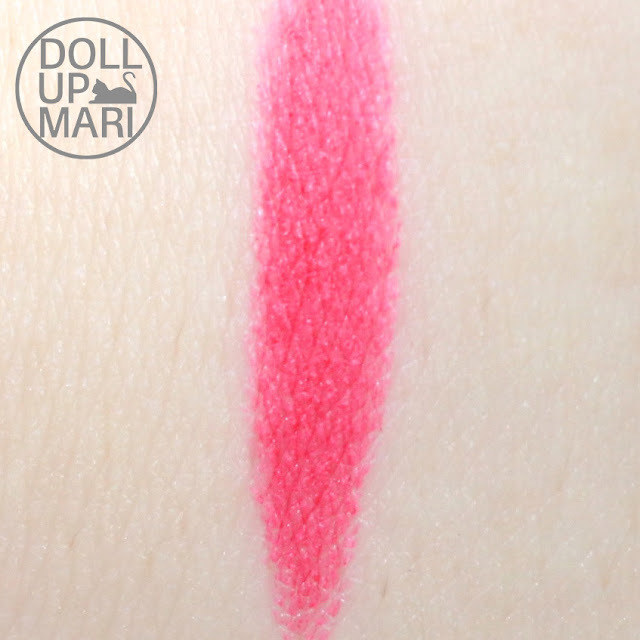 This is Maybelline Lip Gradation in Pink 1, and while it is being promoted for gradation lips here in the Philippines, in other territories it is also being sold as Color Blur lipsticks. And I will not wonder if it is being sold under some other name in some other territory because it does so much. More so this shade in specific. So this is the packaging. And everything. This is more or less a 7 inch tube with approximately 1cm diameter. It comes with the lippie and a sponge. Up close, this is how the sponge looks like. The lid of the foam side. It has the shade's name on it. 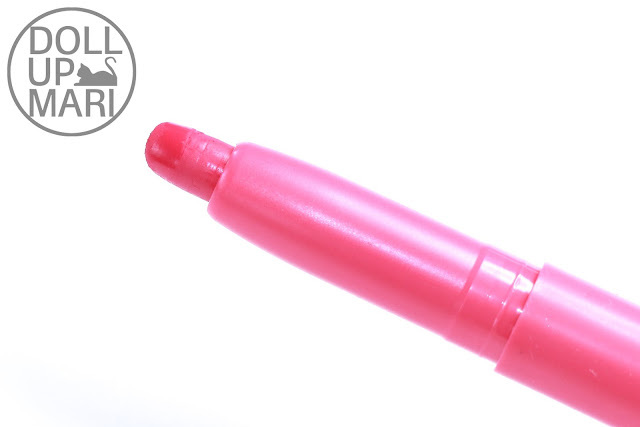 To add, the shade's color is also reflected in the lippie's body. So this is Pink 1. This is a rosy pink with a tiny tiny bit of coral. It's a relatively warm pink, and it may count as hot pink, but when applied to the lips it can be built from a light pink tint to a very opaque pink velvet shade. This is how it looks like with the lid off. I am so sorry I have no idea what the watermark is doing there hahaha. If you have seen my review videos on this, you may have heard how I noted that my point for improvement is I wished that this had replacement sponges, because this sponge is anchored in by spikes and there is a big chance that you may damage the sponge when you try to pull it off. And this is the swatch. This is when you apply it full on and do not do any blending, lightening, or mixing whatsoever. This is the tint that it leaves. It's a bright, milky pink that it leaves. 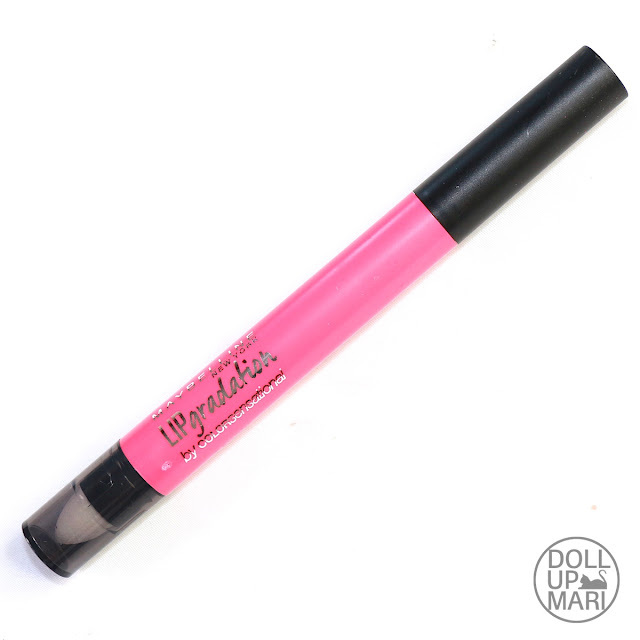 It's a creamy formulation unlike the translucent formulations of lip and cheek tints, which is why the tint is amusingly creamier as well. This is how it looks like on the lips. This is when I applied concealer on the sides and then blended the color into the center. 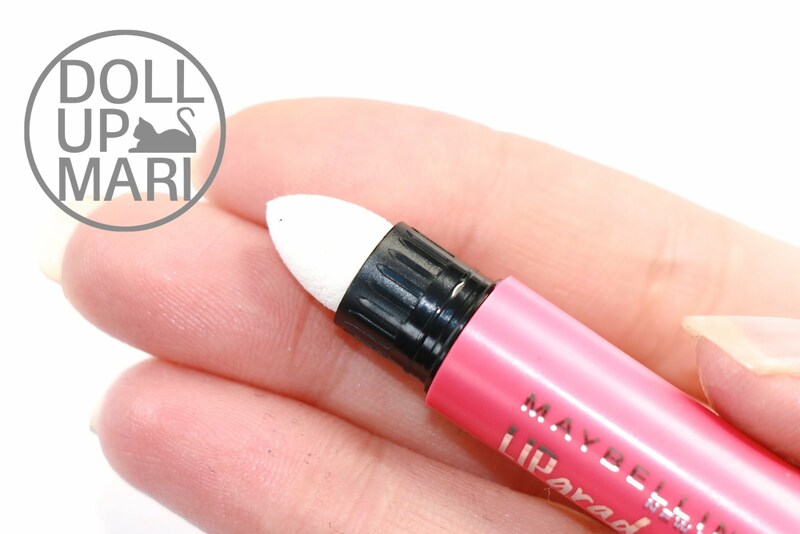 It's a light, milky gradation lip that is perfect for everyday for most people. I'm not really the type who can pull off very bold lip looks on a daily basis, so my daily lip look may gravitate towards something like this. 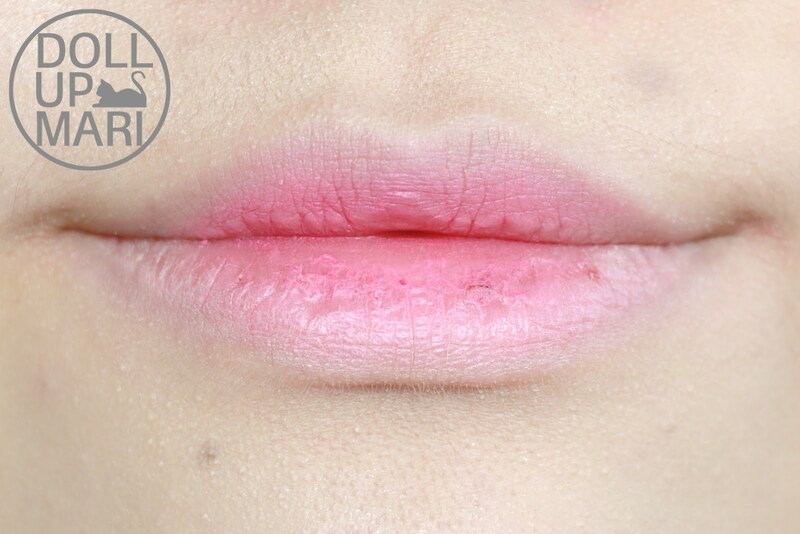 You can add gloss or lip balm to the look. 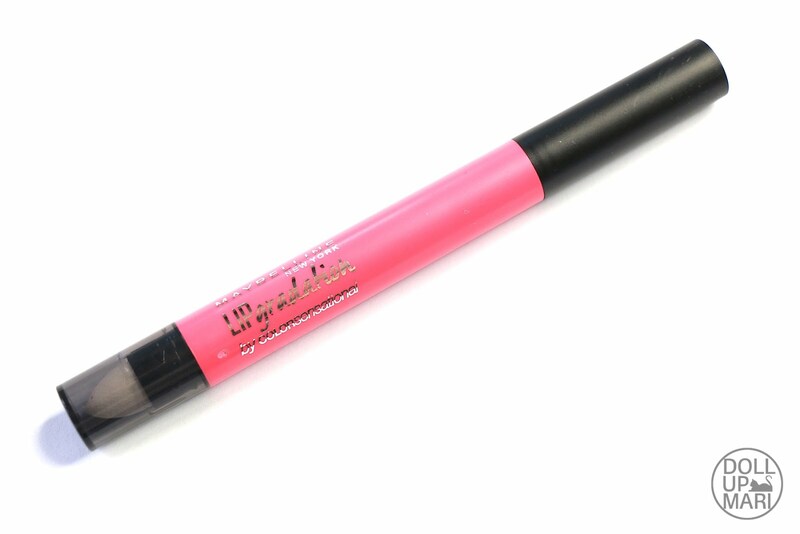 Gloss to make your lips look more plump. 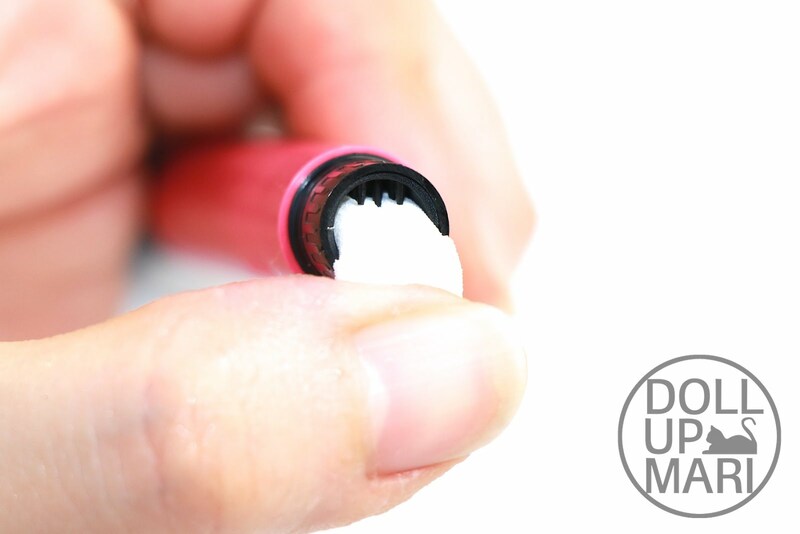 Lip balm if you, too, have dry lips like I do. This product line has generally good staying power, this shade of course included. I like how the tint stayed even while I ate and everything (by everything, I mean I have the worst cough ever and some of the colds as well so I cough and sneeze and wipe my nose and mouth area pretty frequently. Maybelline has a lot of good lipsticks, but if it's your first investment, I think it should be this one because it's a matte lipstick, tint, and gradation lippie all in one. 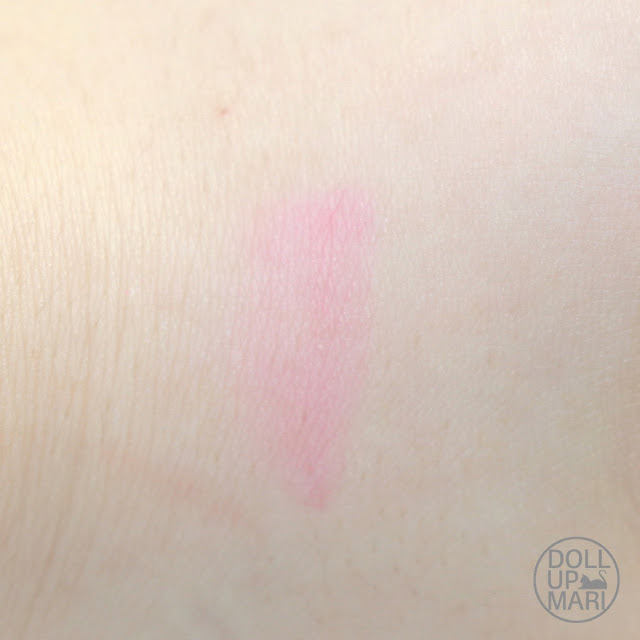 You can also use it for blush, so that can also save on cheek tint costs. 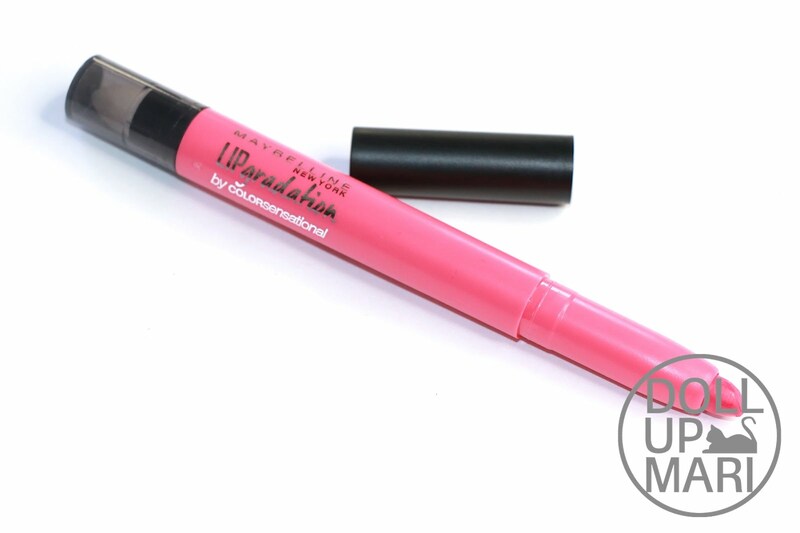 This is Php399 in Maybelline outlets nationwide, which I think is a good price relative to everything it can do. And BTW, these retail for Php399 a pop in Maybelline counters nationwide. Yeees it really looks so cute! This is the cutest shade in the ones I have.